The following is the text from the Eulogy delivered on July 30, 2010. Words are not enough for any of us right now. Words won’t bring my beloved Michelle back or heal the pain in our hearts. Five days ago the universe decided to show us how fleeting life can be. Like John said I’ve never seen life be so totally random and so unfair at the same time. But I’m sorry John you are wrong. Life IS fair because life just IS. A tree is just a tree. It doesn’t have feelings of guilt or remorse. It and everything around it just IS. No more no less. Nobody promised us that life will work out just the way we plan it. Life IS fair because our brief time with Michelle was enough to enrich the lives of each every one of you sitting here today. Life IS fair because it is only by feeling the deepest of sorrow can we truly feel the greatest joy. Life IS fair because Michelle’s spirit has no time limit. I know that Michelle cared very deeply for those around her, but I don’t think she quite knew the extent of her impact on us all. Most of us go through life like a boat in the water looking straight ahead and never seeing the expanding wake left behind. But life IS fair because those of us left in her wake will always have her smile in our hearts. For Michelle the water was where she found her balance, her strength, and her peace. Cooking was also a favorite for Michelle. She loved nothing better than to serve up a large Thanksgiving feast for the family or even a simple salad from the garden. For Michelle cooking was all about love. She loved to whip up something special for a birthday, a get together, a post bike-ride feeding frenzy, or really just any excuse she could think of. But it was about more than food. It was about being fun and creative. She loved to make up silly birthday cakes. 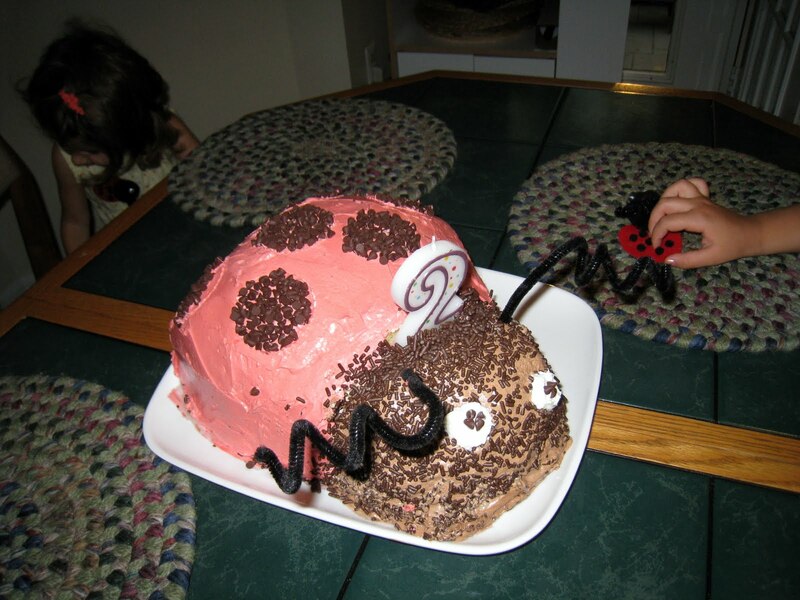 One year she make a cake in the shape of a ladybug for Sophie complete with pipe cleaner antennas. (which are NOT edible by the way) I will tell one cooking story that I know many of you have heard before but I think it sums up her kitchen prowess the best. That was her. Always willing to try things out just because is made her happy. And you know what, they were the best damn marsh mellows I have ever had. No store bought bag could compare. But Michelle greatest love was her family and friends. She loved being a Mother more than anything in the world. Our two little girls gave Michelle a joy from within that was on her face every single day. Michelle’s friends gave her comfort when she needed it the most and she treasured all of you across any time and any distance. Michelle’s love for me filled my spirit and made me whole. So life IS fair. I’ve spent the last twenty years with the woman of my dreams and I’ll take that deal every single time.